Kanye West has spent the last year making headlines for everything except his music. But fans of the artist have been treated to something special each Sunday over the past few months. Tune into Kim Kardashian's Instagram Stories and there you'll find Kanye and a choir belting out renditions of some of his most famous songs - as well as bits of music that seem to be brand new. Known as Kanye West's Sunday Service, it's been announced the act is heading to Coachella Festival in California to perform on Easter Sunday. Religion has always been important to Kanye West's music. And he's got a famously big ego. So when he debuted Sunday Service at the beginning of 2019, and it looked like he was starting his own church, people weren't that surprised. A lot of what goes on at Sunday Service remains pretty secretive - people are even reportedly made to sign non-disclosure agreements. But from the snapshots we're shown it all seems to centre around the choir/live orchestra. Whether it's Jesus Walks, Father Stretch My Hands Pt.1 or Lift Off, Sunday Service often seems to showcase a reinterpretation of Kanye's tracks. And music seems to be the main aspect to the service that makes it spiritual. Unsurprisingly, with Kanye and the Kardashians involved, Sunday Service has become a bit of a celeb hot spot. A Sunday Service invitation is the "most prestigious, highly-coveted" invitation possible for musicians in LA, according to Variety - which describes it as "where spirituality and exclusivity meet". Katy Perry and Orlando Bloom are among the A-listers who've been spotted there. But Sunday Service has also led to a whole host of new fans for five-year-old North West - Kim and Kanye's oldest child - because of videos like this. The location has changed a few times - starting off indoors with some funky lighting but now mostly appearing to take place outside on a mountain under the sun. Adidas's office in Portland has also hosted Sunday Service. And the choir is frequently filmed on planes, seemingly on the way to the idyllic location where the main event takes place. There's speculation that Kanye West's Sunday Service could be leading up to another gospel album from the rapper - a few years after the gospel-influenced The Life of Pablo came out. 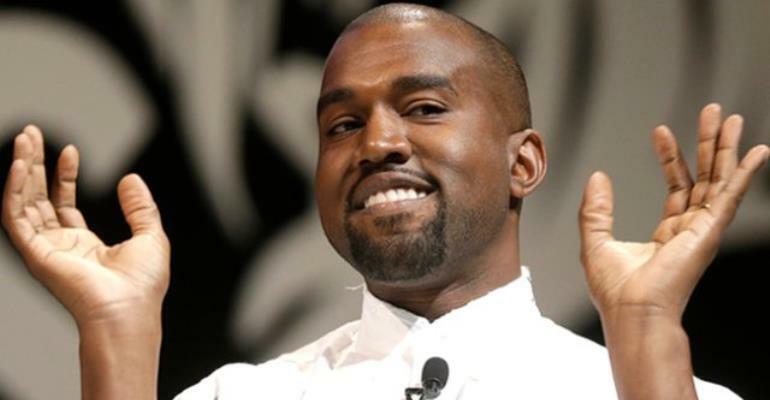 Kanye had promised an album at the end of last year - called Yandhi - which was delayed. Whatever is happening with new music, one thing is definite: the people at Coachella look like they're definitely in for a treat.